Kerala Congress veteran and former state Finance Minister K M Mani died at a private hospital Tuesday evening, hospital sources said. He was 86. He is survived by his wife and six children. Mani, who had been undergoing treatment at the VPS Lakeshore hospital for pulmonary disease, breathed his last at 4.57 PM, they said. He had been suffering from COPD (Chronic Obstructive pulmonary disease) for several years and had frequently been hospitalised for chest infection. Beginning his political career as a Congress worker, Mani had served as the general secretary of Kottayam District Congress Committee before becoming part of the Kerala Congress movement, headed by stalwarts like K M George. He was a successful practitioner of pragmatic politics, and was a dominant player in Kerala’s coalition politics for over four decades. He served under six chief ministers, handling key portfolios like finance, law, and home affairs, for most Congress-led UDF governments. He also had brief stint as a minister in the CPI(M)-led LDF ministry in early 1980s. A lawyer by profession, Mani wielded considerable clout among people of the Syrian Catholic community in Kottayam and Idukki districts, ever since he emerged as a powerful leader in the 1970s in the Kerala Congress, which has its roots among the farmers in the erstwhile Travancore region. Mani-led Kerala Congress(M) is the largest among nearly nine political outfits having the name of Kerala Congress with varying suffixes and is the third largest constituent in the Congress-led UDF in the state. Mani, who was elected to the Kerala Legislative Assembly for the first time in 1965 from Pala constituency of Kottayam district, never lost an election and continued to represent the constituency till his death. He was forced to quit as finance minister from the Chandy-led government in November 2015, following the Kerala High Courts observations against him in the bar bribery case, casting a shadow over his career. He authored several books, including ‘Fiscal Problems of Kerala-Causes and Remedial Measures’, ‘The People’s Socialism’, ‘The Eighth Five year Plan-an Alternative Approach’, ‘Doctrine of Toiling Class’, ‘The Economic Development of Kerala’, ‘Toiling Class Theory’, and ‘Political and Economic Studies’. Oommen Chandy, the former Kerala CM, mourned the death and revealed that it is a real loss to Kerala politics. He also added that Mani had spent more than six decades for the people of Palai. 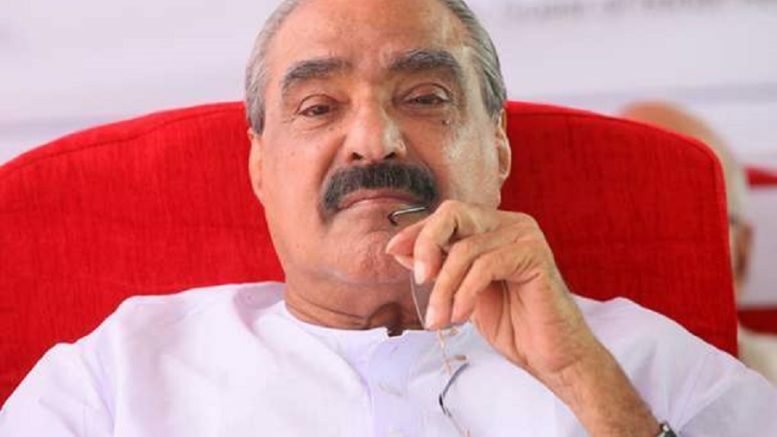 Be the first to comment on "KM Mani, former minister & key figure in Kerala politics, passes away at 86"